Here is a list of the Time Periods. Quaternary 2 million years ago to the present! What is the definition of fossil? Another way fossils are formed is through petrification. Petrification is when the original organic substance is replaced by new minerals and turned into stone. Petrified Wood is an example of this. When a tree died, minerals in the groundwater permeated the wood, turning it to stone, but retaining its original shape and often even the smallest detail of the wood. The vast majority of petrified “forests” can be linked to volcanic activity, usually from burial from the ash. In order to petrify, wood must be buried without oxygen to prevent decay. Everything we know today about how life developed here on Earth, we have learned from studying fossils! The first true plants and the first vertebrates appeared in the Silurian period. Though invertebrate fossils have been found dating from around 700 million years ago, invertebrate fossils did not become plentiful until the Cambrian period. Most likely because that’s when they started making shells to protect themselves. The most common group found is ammonites, with over 12,000 species! They became extinct about 65 million years ago in an unknown catastrophe that ended the Cretaceous Period. The same catastrophe is believed to have killed off the dinosaurs. Trilobites are another well-known fossil name. They belong to a large phylum (a vary large group of classification-though they may be very different, it is assumed they all come from the same ancestors) of animals known as arthropods. Modern day arthropods are scorpions, spiders, insects, crabs, and lobsters. The trilobites lived through a time span of 300 million years, but they too are now extinct. Mammals first appeared in the Triassic Period. But it wasn’t until the dinosaurs and many invertebrates died out, that birds and animals became the dominant groups. For more detailed information on Fossils click here! What is the definition of Petrified Wood? This semiprecious gemstone is the fossilized wood of trees. The Petrified Wood formed when a tree died and was buried by sediments. Minerals in the groundwater then permeated the wood, replacing the original organic matter and turning it to stone. The main mineral is silica, but trace elements in the silica create a variety of colors. Petrified Wood is a member of the Chalcedony family. It is very hard and takes an excellent polish, making it a great stone for jewelry. The oldest known Petrified Wood Forest was found in Gilboa, New York and it dates to the Lower Devonian Period. However Petrified Wood has been identified from every period since then, right up to the Tertiary Period. It is found at a great many sites all over the world. It has been found in every state, but the majority of the petrified wood in the United States comes from west; with the most famous find being the National Petrified Forest in Northern Arizona. Northern Arizona has been the home of the Petrified Wood Forest, a National Park since 1962. The park sprawls over 346 square miles and is one of the richest troves of the late Triassic Period fossils (210 million years old). It is considered one of the most important Petrified Wood areas in the world. Some logs as long as 213 feet have been found there! 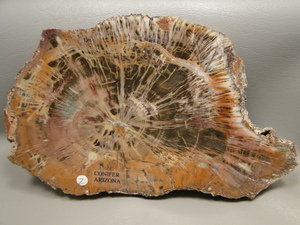 For more detailed information on Petrified Wood click here! When I was a kid it was easy to just go out into the woods or creek beds and look for pretty rocks or fossils. Unfortunately nowadays with all the laws and regulations it is a lot harder. If you choose to go rock or fossil hunting-do your research. There are plenty of websites and books with information on places to legally hunt. Make sure the information is current. Lots of old collecting sites have been fenced or are off limits. Make sure you follow basic safety procedures. The Bureau of Land Management controls federal land and puts limits on collecting. Check their website for information. You must have permission from the owner to collect on private property. Perhaps the best places to get information or to “hunt” for fossils, petrified wood, rocks and minerals may be your local museum, rock shop, or rock shows. Of course the biggest rock, mineral and fossil show is the one in Tucson, Arizona every January/February. The second largest in the U.S. is in Denver, Colorado in September. But if you can’t get to them, check and see if there is one locally. Your local rock shop should know. Also check and see if there is a fossil or lapidary club or organization in your area. And be sure to check out my "Localities" link above for a list of states and countries and the rocks and minerals found there! Unfortunately buying fossils is a “buyer beware” activity. Fossils can range in price from very inexpensive to very expensive. Cleaning and prepping fossils is an extremely detailed job and should only be done by an expert. It has become commonplace to “repair” fossils. This may range from gluing back a broken part, which is an accepted practice if disclosed, to the fossil being fake! Some fakes are so sophisticated they can fool legitimate dealers. 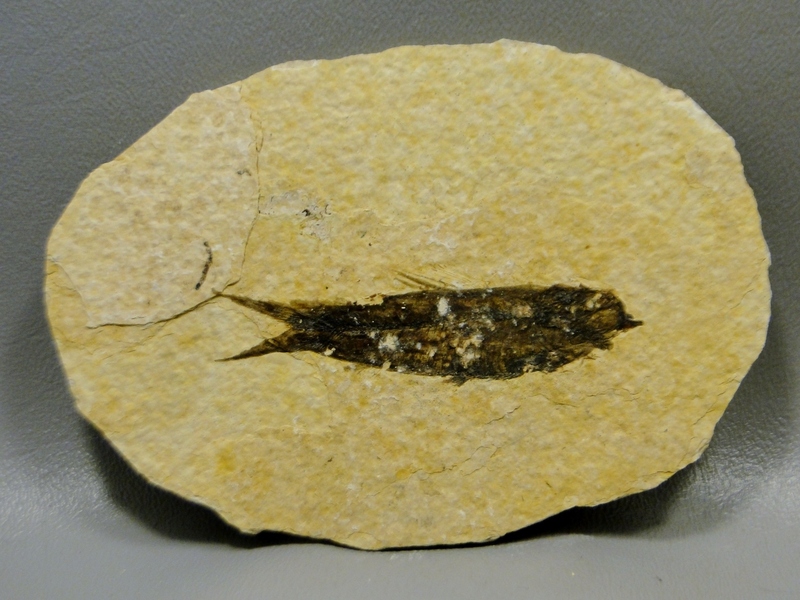 The Chinese are particularly good at making fake fossils, and any Chinese fossil should be viewed with suspicion. Even the Moroccans have gotten very sophisticated at faking fossils. Before purchasing a fossil, make sure the dealer is knowledgeable and reputable. Learn all you can and make sure you shop around. Though I know just about anything can be faked these days, I am not aware of any issues with fake Petrified Wood.